How can 3D-lipo help me? Welcome to Daniel Beauty Ltd.
We treat both men and women at our professional home salon in Woking, Surrey. We have two treatment rooms. No needles. No downtime. No need to exercise. 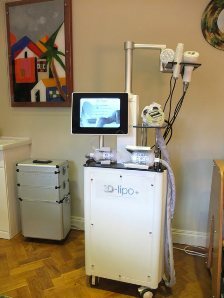 We have exclusive use of the 3D-lipo machine within a 3-mile radius of our home near Woking. That covers most of Woking (Woodham, New Haw, Addlestone, Kingfield, Horsell, Maybury, Goldsworth Park, Old Woking, Knaphill, Hoebridge, Mimbridge, St. John's, Chobham, Hook Health, Ottershaw and Pyrford) as well as Chertsey, West Byfleet and Byfleet. 3D-lipo is a powerful three-dimensional alternative to liposuction. It's liposuction without the surgery. It's the complete approach to targeted fat reduction and body contouring. 3D-lipo is probably one of the most advanced treatments of its type in the fight against targeted fat reduction, cellulite and skin tightening. Its three-dimensional approach to the problem ensures that you will experience one of the most effective services of its kind available today. How much does 3D-lipo cost? How can 3D-lipo work for me? Many less sophisticated Lipo devices on the market use diode laser to remove fat. Although this has been proven to stimulate the fat cell to release fat, you have to do cardio-vascular exercise immediately afterwards to burn off the fat which has been released. See Laser Lipolysis. 3D-lipo uses the latest technology called Ultrasound Cavitation. This is widely recognised as one of the most effective cellulite reduction and spot fat reduction techniques available. You don't need to do any exercise after the treatment to get results. However, if you do undertake exercise and eat a sensible diet you could get results which are twice as good. Cavitation is a natural phenomenon based on low frequency ultrasound waves. Cavitation is body sculpting but it involves no needles, no scars, no discomfort and no downtime. Cavitation is a risk-free alternative to liposuction. The ultrasound produces a strong wave of pressure to the membanes of the fat cells. The cell can't withstand this pressure and so it disintegrates into a liquid state. The result is natural fat loss. How can Fat Freezing help me? We freeze the fat in an area of your body to -5C; that causes the fat to crystallise and die. After you have had a Fat Freezing treatment, between 20 and 25 per-cent of the fat cells will then die naturally during the next 8 - 16 weeks. So it may take up to 4 months for you to see the full effects. How can Radio Frequency Skin Tightening help me? Many people not only want to lose fat, they also want to improve the appearance of cellulite and have tighter skin in certain areas. 3D-lipo’s three-dimensional approach to the problem ensures that the Cavitation means you will lose fat and improve the appearance of cellulite. RF will tighten your skin afterwards. When is 3D-lipo not right for me? If you are a carrier of large metal prostheses (metal implants, pins, hip joints, etc) you will not be able to have Cavitation in that area. If you have had dermal fillers, please get written permission from your doctor before booking an appointment. Daniel will perfom your treatment. 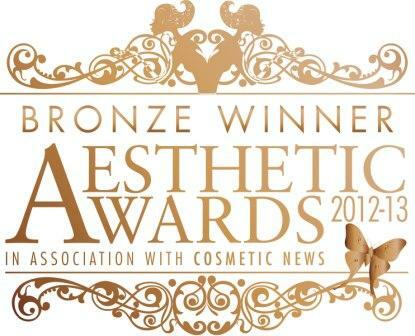 He is a fully qualified and insured 3D-lipo Technician. Yes. Daniel is a trained 3D-lipo Technician and is insured against the (highly unlikely) event that you are injured during a treatment. His certificate and insurance documents are available for you to inspect if you wish. Yes. When you arrive for your initial free conslutation Daniel will ask you to fill out a short questionnaire about your health. All your personal details will remain completely confidential. None of your details will be passed to a third party. You can pay for your treatment in cash, by cheque, BACS (online banking), PayPal or payment by credit or debit card via PayPal. If you cancel your appointment within 24 hours, the full fee is still payable. If you cancel with more than 24 hours' notice, we are happy to re-schedule your appointment. Please note that to be effective you need to have one Cavitation treatment per week. We cannot guarantee that we will be able to accomodate a new appointment time or date. You may be able to book your initial free consultation for today, but you will require a course of treatments for Cavitation to be effective. This means that the course has to be planned in advance. If you are very late, or expect to be very late, please let us know as soon as possible as we may be able to delay the next client. You can see full details of our location - between Woking and West Byfleet in Surrey - and how to get there on my Location Page Please either park in the drive or directly outside the house if possible. You can email us through the Contact Page, you can call on 01483 779997 or text on 07902 716499. You should get a fairly swift response between 8am and 10pm. From bushy brows to hairy toes and everything in between, waxing is one of the most popular beauty services. We offer full body waxing at our home between Woking and West Byfleet in Surrey. Your privacy and confidentiality is assured at all times. A facial treatment includes steam, exfoliation, extraction, creams, lotions, facial masks, peels and massage.